In Adhyay 10 Shlok 1, it has been stated that oh mighty-armed (Arjun)! 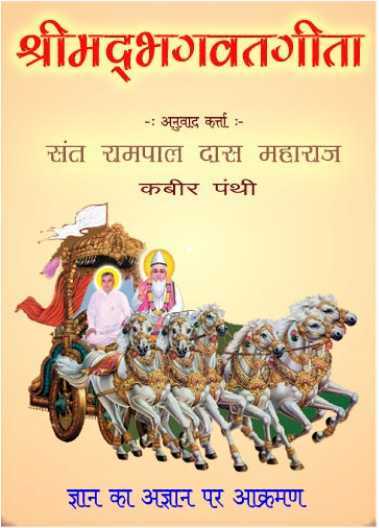 Listen to my supreme word which I will say for the welfare of a dear devotee like you. In Adhyay 10 Shlok 2, has said that Arjun, neither the gods, nor Maharishis (great sages) know about my origin (birth) because all these have originated from me. It is self-evident from this that Brahm (Kaal) has definitely taken birth but gods and the sages do not know about it. Like, children can not tell about the birth of their father, but the grandfather knows about it. 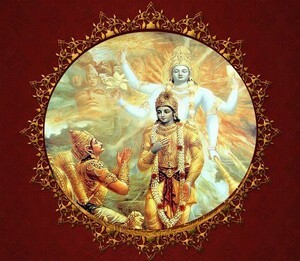 Similarly, all the gods-sages etc in the twenty-one brahmands have arisen from the union of Jyoti Niranjan – Brahm i.e. Kaal and Prakriti (Durga). Therefore, is saying that no one in the twenty-one brahmands knows about my origin because everyone has originated from me. Only Purna Brahm can tell about the origin of Kaal (Brahm). In Gita Ji Adhyay 3 Shlok 14-15, there is a clear evidence of origin of Brahm. Translation of Adhyay 10 Shlok 3: He who knows me (Brahm) and the as immemorial (anadim), as one who does not take birth (who does not appear in form) and as the great lord of Kaal lok, in essence, that (matryeshu) learned person, who knows the scripture-based opinions stated in the three Vedas, gives correct information about all the sins. The three Vedas mentioned here are YajurVed, SamVed and RigVed. It is mentioned in Gita Ji Adhyay 15 Shlok 16, 17, 18 that the Eternal Supreme God is someone else who by entering in the three loks sustains everyone. I (Kaal) am known as Purushottam only because I am superior to the perishable living beings in gross bodies and the imperishable soul, who are under me in the twenty-one brahmands. Therefore I am known as Purushottam in Vedas and this world, but in reality, I am not eternal or the sustainer. 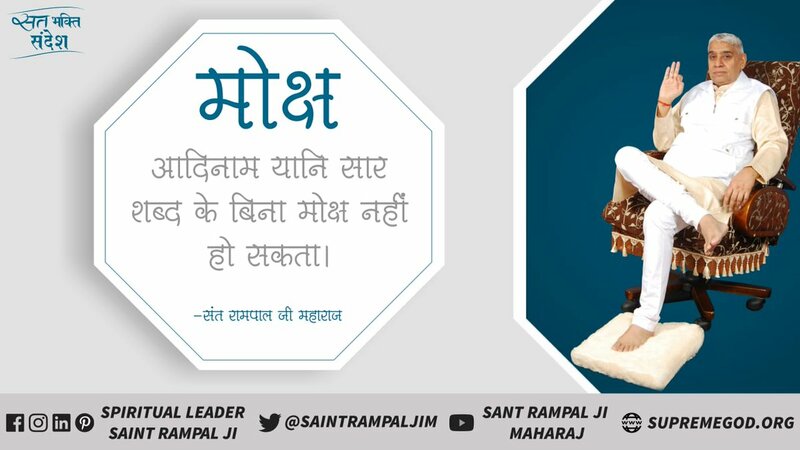 In Gita Ji Adhyay 3 Shlok 14, 15, it is said that all the living beings arise from food grain, food grain arise from rain, rain from yagya, yagya from virtuous actions, actions arose from Brahm. Brahm took birth from the Eternal God. That Eternal Omnipresent God is situated in yagyas, is venerable in the yagyas, He only gives the fruits of the yagyas i.e. in reality, He alone is the Adhiyagya. Then, has said in Gita Ji Adhyay 10, Shlok 2 that no one knows my origin (prbhavam). It is proved from this that even Kaal (Brahm) has taken birth. Therefore he is also in form somewhere. Otherwise Krishna Ji was already standing in front of Arjun. He could not say that I am immemorial and unborn. 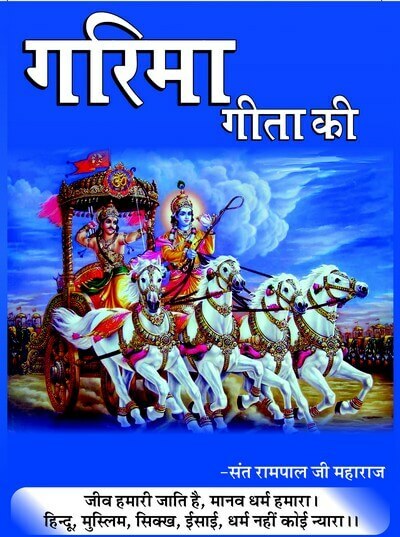 Kaal (invisible Brahm) himself delivered all this correct information about his position (state) in form of Gita by speaking inside Sri Krishna. The meaning of Adhyay 10 Shlok 7 is that one, who knows my power and yog sadhna in essence in this way, becomes endowed with unwavering sadhna. There is no doubt about it, which means that those learned men who become aware of the powers of Kaal (Brahm) in essence according to the scriptures (matanusar), that he is only superior to the perishable living beings in material bodies and the imperishable souls who are in Kaal’s (Brahm’s) trap and therefore is known as Purushottam; in reality, Purushottam is someone else who is known as the Eternal Omnipresent God (please again read Adhyay 15 Shlok 16, 17, and 18), only those devotees do bhakti of the Supreme God without any doubt i.e. with steadfast mind. There is no doubt about this. 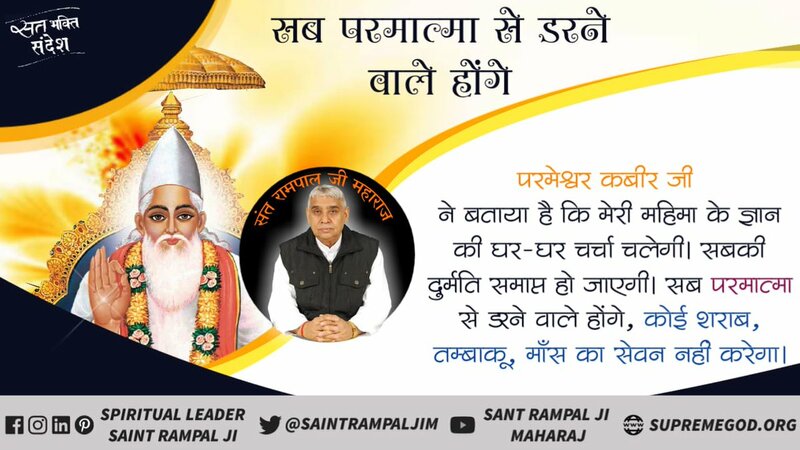 The purport of Adhyay 10 Shlok 8, 9 is that those living beings who did not find a fully knowledgeable Tattavdarshi Saint, they based on the scriptures produced (created) by me, having knowledge upto only these, with absorbed minds, discuss about God among themselves and always remain contented (with Brahm) and engrossed in me (Brahm-Kaal). In Adhyay 10 Shlok 10, it is stated that I induce darkness of ignorance in the intellect of those who are engaged in the yog of practice and who worship me with love; as a result of which they come to me (Kaal). In Adhyay 10 Shlok 11, it has been stated that to shower my grace on them, I destroy the darkness born of ignorance. By establishing them in Aatm-tattav, illuminate with the lamp of wisdom. 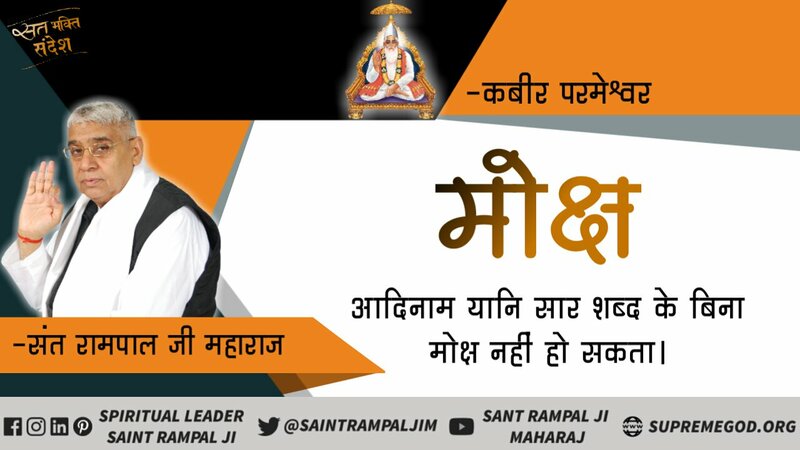 In Adhyay 10 Shlok 11, has clearly said that the devotees who being dependent on me come to me, I tell them the truth (the true knowledge) that the actual eternal and unborn God is someone else. It is not me (Kaal). Therefore do bhakti of that God. Then that devotee is not reborn. 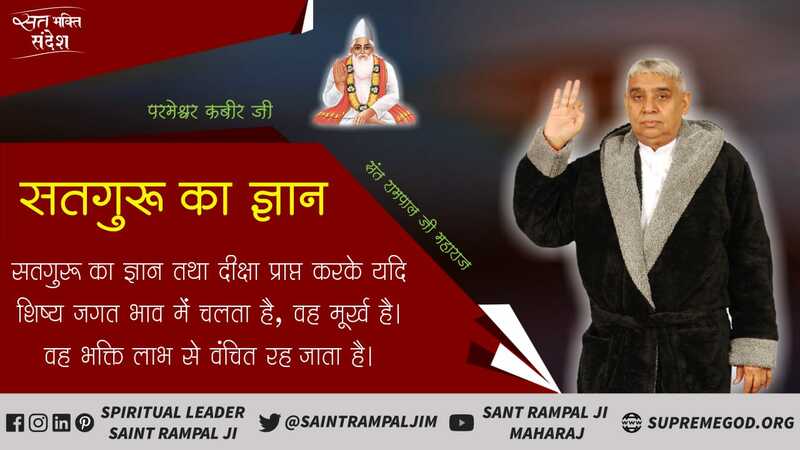 Evidence – Gita Ji Adhyay 8 Shlok 3,8,9,10,20, 21, 22; Adhyay 2 Shlok 17; Adhyay 18 Shlok 46, 62; Adhyay 15 Shlok 1 to 6, 16 to 18 and the whole Adhyay 13. 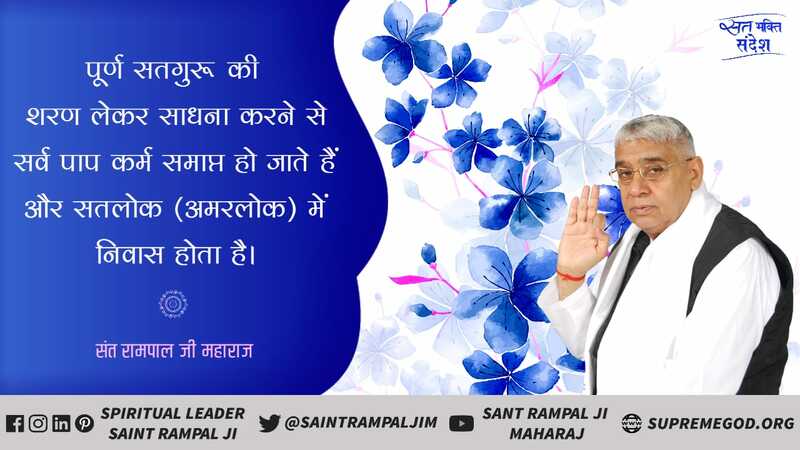 When I will cause destruction at the end of kalp (age) then even the living beings who have attained me (Kaal), situated in heaven and great heaven, will get destroyed. 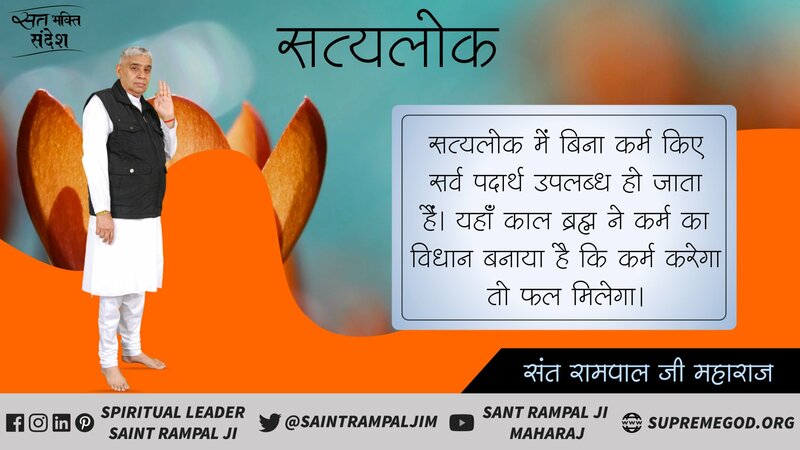 When I will cause destruction at the end of kalp [should it be when I will do creation at the beginning of kalp], then they will again come in birth and death and cycle of 84 lakh births i.e. are not completely liberated. For evidence: Adhyay 8 Shlok 16 and Adhyay 9 Shlok 7. In Adhyay 10 Shlok 12 to 18, Arjun is saying that I regard you as the unborn-eternal, the lord (Purushottam) of all the living beings, the god of the gods etc. Now you tell me how shall I do your bhajan? 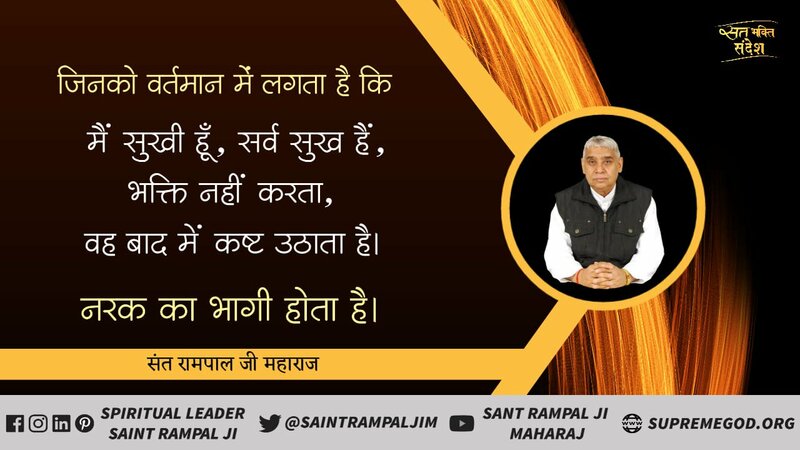 In Adhyay 10 Shlok 20, Brahm God is saying that I am the soul situated in all the beings and I (Brahm) am the cause of birth-death and the joys and sorrows they get in between. Because all souls are under the authority of Brahm (Jyoti Niranjan Kaal). 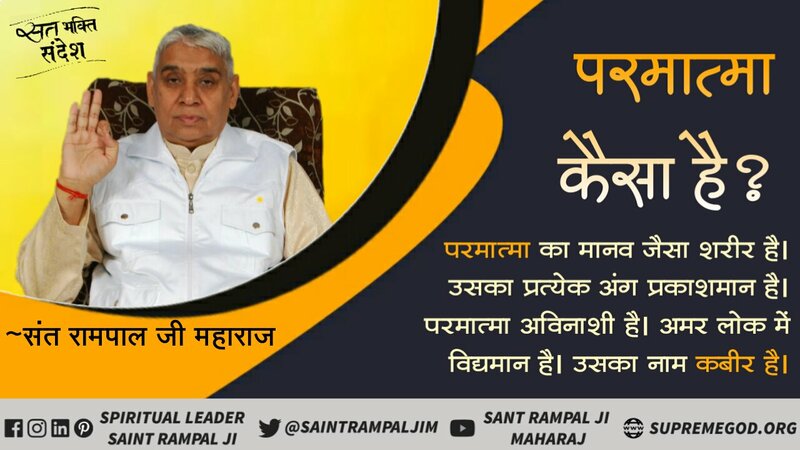 Like, whether it is a bird, an animal, a king or Devraj Indra and Brahma-Vishnu-Shiv and even if it is Mother Prakriti, Kaal is secretively tormenting all the living beings in the three loks by his power. Therefore in the Shloks 21 to 42 ahead, Kaal God is saying that I (Kaal) am the head of all the races of living beings. Like, lion is the Kaal (destroyer) of all the wild animals; Garud among the birds etc etc and I (Kaal) only am the gamble and the deceit.because Kaal (Brahm) by misleading all the living beings and by bringing them under subjugation of each other, makes them suffer. In Adhyay 10 Shlok 19 to 42, God is stating that oh Arjun! (the best of the Kurus) Now I will tell my endless extent to you. I am the soul in all the living beings; I am the beginning, the middle as well as the end. I am Vishnu among the gods, the sun among the planets, am the moon among the stars, am the SamVed among the Vedas, am Shankar among the Rudras; I am the god of wealth, Kuber; I am the highest mountain, Sumeru; am Brahspati Skand, am the ocean (reservoir of water); I only am Bhrigu Rishi, am the one word Omkaar among the words; among all the trees I am the peepal tree; I am the sage Kapil among the perfected (siddh) sages, am Narad among the Devrishis (celestial sages), am the king among human beings, among the cows I am Kamdhenu, am Vasuki among the serpents; I only am Shesh Naag among the snakes, am lion among the wild animals and Garud among the birds, among the aquatic creatures am the crocodile; I am Ram (Sri Ramchandra, son of Sri Dashrath) among the archers, I am the all-devouring death. Therefore oh Arjun! I am the seed (cause of origin and destruction) of all the living beings. My powers are endless. This is only a brief description and consider all the good things having originated from me. Oh Arjun! What is the need of your knowing all this in detail? Listen, I exist supporting this whole world (the three loks) by one partial aspect i.e. what else shall I say? I (Kaal) only am making this whole world dance. I have empowered the lion among the wild animals. He oppresses all the wild animals i.e. intimidates them and eats them at will. Then a crocodile disturbs the aquatic creatures i.e. intimidates them and eats them at will. Likewise Kaal God eats whoever he wishes i.e Kaal has rule in twenty-one brahmands. He alone is the cause of the sufferings of all the living beings, which he himself is stating clearly.